Solid bolt through 75D polyurethane trans mounts. Recommended for race use only. These trans mounts fit almost all BMW cars excluding the E30 M3 and a few older models. They commonly fit the E30, E36, E46, E9x, E8x, E21, E34, E39. 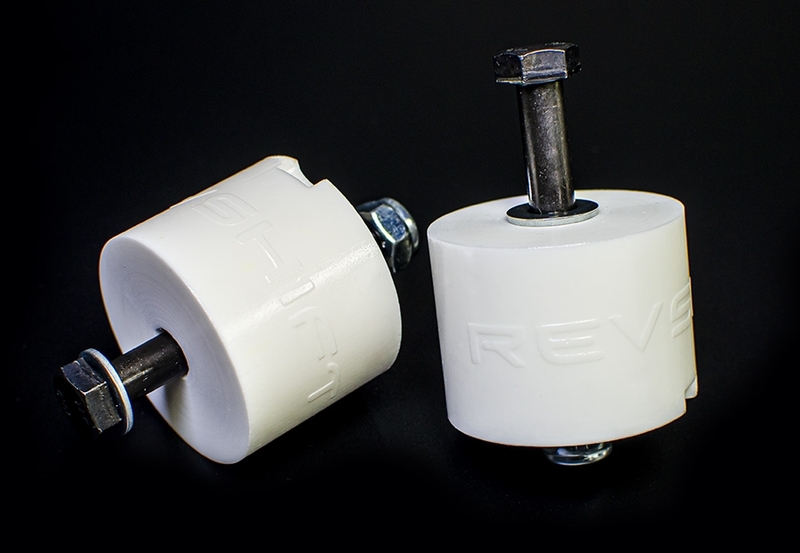 Revshift polyurethane transmission mounts are made in the U.S.A. from high grade polyurethane. 75D polyurethane has a comparable hardness to plastics such as Delrin, nylon, and UHMW. Unlike plastic, polyurethane is an elastomer which means it will return to its original shape if deformed and it will not crack. We do not recommend plastics for automotive use due to their inherent brittleness and inability to return to its original shape when deformed.